Check out one of the most enthralling and high-quality matches in Overwatch League so far, right here. The Overwatch League kicked off two days ago now, and we are beginning to now understand it, its audience, and the quality of matches. In just about every one of those cases, it has impressed. It’s been a really great show — a truly comfortable and high-quality production. As someone who admittedly only catches a couple esports tournaments a year, Overwatch League has a serious chance of finding regular viewing on my schedule. However, there are going to be a lot of matches, and with so many things vying for our time nowadays, you may only want to watch the best of the best. While I’m keeping up with it, I thought it might be useful to highlight some of the best matches of the tournament for those of you who only have a tangential interest in the competition, are looking to just give it a try, or, like a lot of the world, it comes on at a really awkward time. 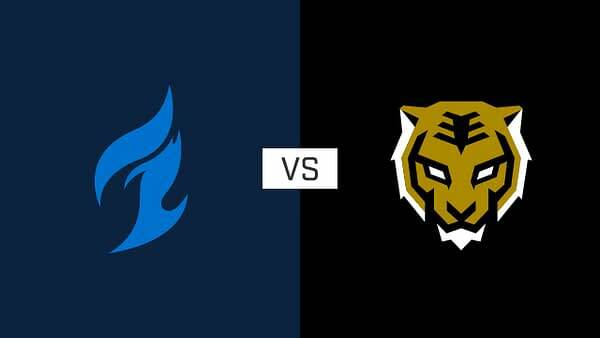 Thus far, the highlight match has been between Dallas Fuel and Seoul Dynasty. This was a big matchup. Seoul Dynasty, being the South Korean representative and made up of legendary team Lunatic-Hai, they are more or less the favourite for the entire league. That simply comes from them being the most pedigreed team in Overwatch esports, simple as. On the other side of it, you have the Dallas Fuel. They are probably the most popular team in the League, at least in the West. Made up of a lot of Team EnVyUs, they were the first winners of Overwatch APEX, being a Western team going to a South Korean competition and walking away with it. That doesn’t happen all that often in esports. With added firepower by ever-popular Seagull, plus the notorious and divisive xQc, you have a team full of some of the most popular players in the League. They aren’t without substance either, though, with many expecting a top 5-3 finish come season’s end. If you are only willing to give competitive Overwatch just one match, then make it this one. I won’t go too far into what happens, but what I will say is it is utterly bananas. You owe it to yourself to check this one out. I’m genuinely very excited for this league, and if you aren’t a convert after this series, well, maybe it isn’t for you. I think if you are willing to give it a go, though, you’ll find lots to enjoy.